The sun gives the Earth 970 trillion kilowatt-hours (kWh) of free energy every day. That’s more energy than what the world uses from fossil fuels every year. It’s enough to supply the United States' energy demand for a year and a half. Of course, solar energy is only as good as the technologies used to harness it. When solar gained traction in the 1970s, the technology was expensive and inefficient. But a lot has changed since the days of Jimmy Carter sweaters and bell-bottomed salesmen who sold solar power systems in high-income California suburbs. Technology has advanced dramatically, and costs have fallen so low that in some locations, it's cheaper to power your home with solar than conventional fossil fuel-based power generation. 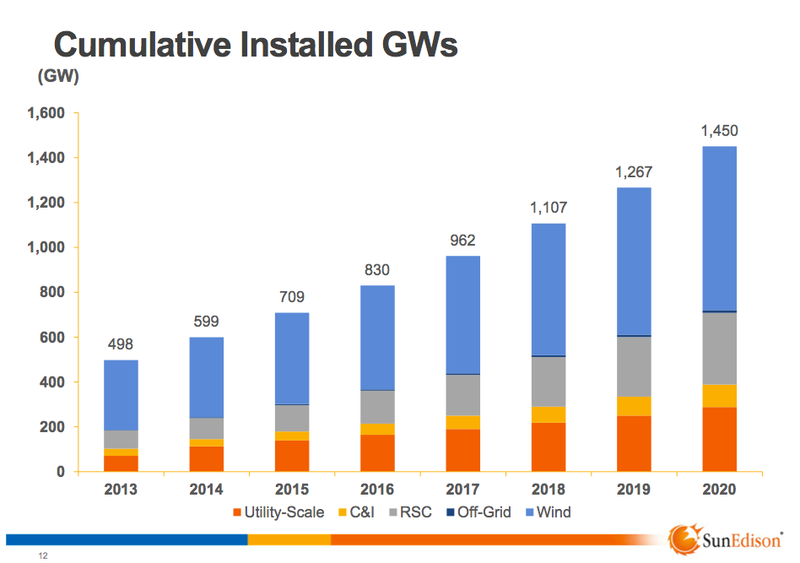 As a result, solar is being installed at a record pace. According to the International Energy Agency, it’s expected that 22% of the world's power generation will come from solar energy by 2050. It’s a conservative estimate, but this growth is making the solar industry attractive to investors. Although there are three types of solar technologies — concentrating solar power, solar thermal, and photovoltaics (PV) — PV is where you'll find the lion's share of opportunities. PV is typically what you find on the roofs of homes, buildings, and parking structures. The technology converts photons of light into electricity via a semiconductor, like a computer chip. Although the PV effect was discovered in 1893, the first PV device capable of producing enough electricity wasn't developed until 1954. In 1958, PV was tested in real-life situations, and the technology remained in the research phase until the 1970s energy crisis. At the time, the technology was still expensive to manufacture on a commercial scale, and the efficiencies of the technology were low. PV is often measured in terms of efficiency. No PV device can provide a 100% conversion of sunlight to electricity. Back in the 1970s, efficiencies of the actual solar cells were low. Hardly an economic endeavor if you consider that back in the mid-to-late ‘70s, the price per watt was around $80. Today, it lingers around $0.35 per watt. This has made all the difference and has resulted in a rapid installation of solar energy across the globe. There are dozens of public companies operating in the solar space. But four in particular will give you the most bang for your buck in the long run. JinkoSolar is a Chinese firm that makes a variety of PV products, including solar modules, solar cells, silicon ingots, and silicon wafers. The company operates internationally — 69% outside of China — in two segments: manufacturing and solar projects. Say what you will about the Chinese market, but JinkoSolar is in its own league. The company has performed well in its last several quarters. Its ability to thrive in the current market is largely because it’s one of the lowest-cost manufacturers of PV silicon modules in the industry. Last year, its total solar module shipments were 6.65 GW — a 47.5% increase from the previous year. The company has estimated that its module shipments will be between 8.5 GW and 9.0 GW for 2017. JKS’s total revenues for the previous quarter hit $737.6 million and $3.08 billion for the entirety of 2016. We successfully complete the spin-off process of Jinko Power's project business which generated $145.2 million in investment gain for JinkoSolar and strengthened our balance sheet by cutting debt to $892 million from $2.1 billion. These initiatives have increased our corporate flexibility and reinforced our financial position which will allow us to take advantage of more opportunities in 2017. JinkoSolar brings a stellar value to the table. It has a market cap of just $507.57 million. Its peers First Solar and SunPower, meanwhile, have market values of $3.3 billion and $967.79 million, respectively. Boasting over 200 patents for solar technology and the world’s highest efficiency solar panels, SunPower is another company that belongs in every solar investment strategy. The company has been making solar panels from its Silicon Valley headquarters since 1985 and has generated over 18 million megawatts of solar power. Its diversified global portfolio has made it a leader in residential, commercial, and utility solar energy markets. To make things easier for homeowners, SPWR offers solar systems for sale or lease. If the homeowner leases the system, SunPower guarantees it for 20 years and if anything breaks, the company will fix it at no cost. If homeowners prefer to buy the system, the company will facilitate a loan that can range from 5 to 20 years and has no pre-payment penalty. It even offers assistance in finding home-equity loan options, so folks can buy the system outright and get tax deductions on the interest for the loan. The longevity of the company and the technology behind its products has made it a leader in nearly every solar power generation field. To show how far ahead of the competition it is, management at SPWR green lit a solar airplane project, and it’s setting records as the plane soars around the globe without using a drop of conventional fuel. The company has designed and tested a fully solar-powered catamaran — two-hulled ship — that’s already circumnavigated the world using only solar energy generated by SunPower panels. Perhaps the most enticing part of the SunPower business plan is its vertical integration. Think Rockefeller’s U.S. Steel. The company owns the entire process — from manufacturing the photovoltaic cells to constructing power plants and installing residential and commercial panels to operating the plants and panels. This allows the company to reap all the revenues from its solar panels and continue to innovate the entire process from conception to execution, making its service more streamlined than its competitors. First Solar is an old name in North American solar. It has been making solar products since 1990 when it was working under the name Solar Cells Inc. (SCI). The Arizona-based company deals with thin-film semiconductor modules — note the difference from crystalline semiconductors that are also common in solar panels. Many years ago, thin-film solar panels were the cheapest to produce. A breakthrough in crystalline manufacturing caused its price to drop below the cost of thin-film. This pulled the rug out from underneath many thin-film solar companies. However, if thin-film can't lead in price, it might soon lead in electrical efficiency. Crystalline semiconductors appear to have hit their efficiency limit while thin-film has shown its ability to keep improving. Thin-film solar modules are sort of an industry unto themselves. They use a thin layer of semiconductor materials instead of a single crystalline wafer of silicon, and they can be put on different types of backing material. While crystalline semiconductor innovation comes when new doped compounds are used, thin-film has more areas where innovation can be found. First Solar is one of the main proponents of cadmium telluride (CdTe) semiconductor technology. It has no competitors. The company's prime competitor was General Electric, but it bought all of GE's intellectual property in 2013. It commands a 6% share of the global solar module market by itself. This is a major differentiator for the company and gives it an advantage when marketing to companies looking to build solar arrays. Its panels can withstand higher heat and can operate at the same efficiency as cheaper panels when under stress. First Solar also offers operations and maintenance services. With nearly 4.5 GW of contracted capacity worldwide, First Solar has one of the biggest operations and management service in the world. With services that include power plant control and monitoring, performance engineering, and forecasting, it's a big portion of First Solar's overall business model. Founded in 2007 and headquartered in San Francisco, California, SunRun designs, installs, finances, insures, monitors, and maintains solar energy systems. Its goal is to provide hassle-free solar energy to residential customers with low-cost solutions. To stay true to that goal, the company offers lease and power purchase agreements (PPAs), a popular option for customers versus paying total cost upfront for a solar energy system. SunRun uses its design technology, BrightPath, to make a solar plan for a customer’s roof quickly and efficiently. All it needs is customer information and satellite imagery of their roof. BrightPath creates multiple designs to maximize energy production. The company offers residential solar energy services to the following states: Arizona, California, Colorado, Connecticut, Delaware, Hawaii, Maryland, Massachusetts, Nevada, New Hampshire, New Jersey, New York, Oregon, Pennsylvania, South Carolina, and Utah. SunRun deployed 282 MW of PV systems in 2016, doubling the residential market’s growth rate of 19%. In addition to providing residential solar energy, SunRun has begun offering energy storage to customers. It has reached over 1,000 orders for its BrightBoxes in California and Hawaii. Both states will give SunRun significant growth in the energy-storage market. We'll cover these in the weeks and months ahead.